Vast range of kits and sounds. Mesh heads and dual-zone drums for an authentic response. All mounted to a premium chrome rack with non-slip clamps. The Alesis Command Mesh Bundle provides an outstanding drumming experience at an affordable price. 671 individual drum sounds fill the module, but you can also load your own sounds via USB drive for even more fun. With USB and MIDI connectivity, you can expand into limitless territory with VST instruments and software. This makes it perfect for beginners and beyond, offering endless playability throughout your drumming journey. The 60 play-along tracks and built-in performance recorder give you plenty of styles to practise, and plenty of recording time to improve your skills. 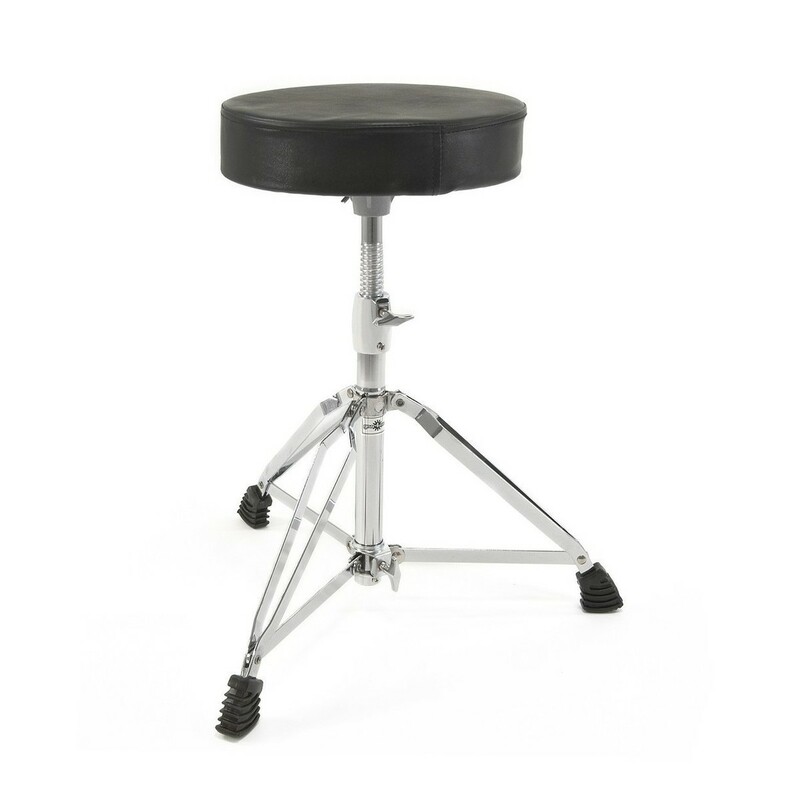 Coming complete with the Alesis kick pedal and hi-hat controller, this bundle also includes headphones, a stool, and a pair of 2B hickory drumsticks. 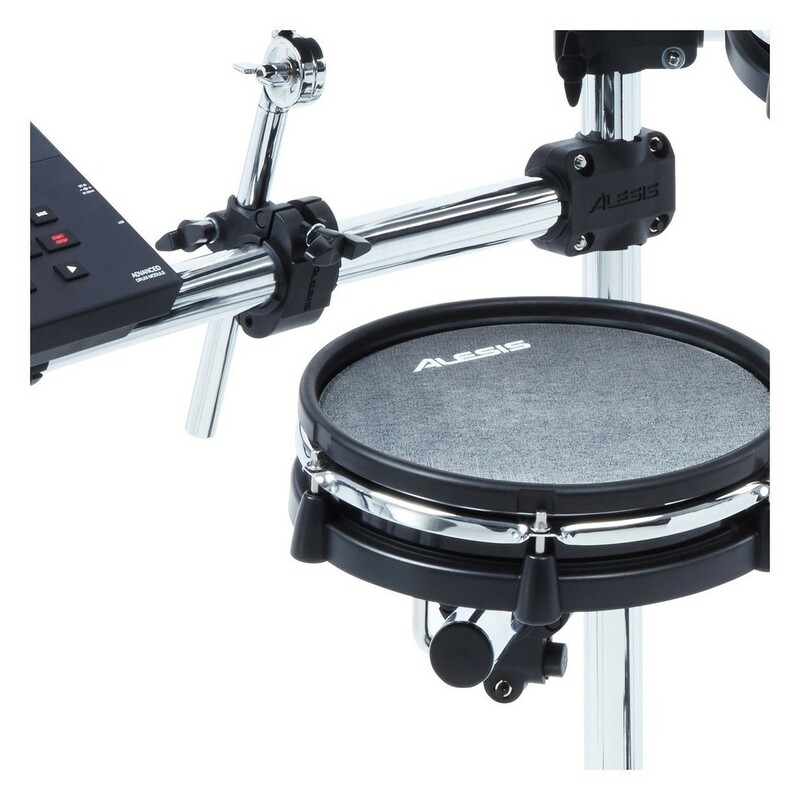 Building on the design and success of the original Command Kit, Alesis have included all-mesh drum heads for exceptional authenticity, providing a natural and fluid feel while you are playing the kit. The 8-piece kit is comprised of a range of premium-grade drum pads including two 8-inch, dual-zone rack toms and an 8-inch dual-zone floor tom, providing plenty of creative options for the rim area of each drum. They are accompanied by the 8-inch mesh kick and 10-inch dual-zone snare pad. The dual-zone design allows you to trigger two different sound depending on where you hit the pad for added flexibility. At the heart of the Command Mesh Kit is the Command Drum Module, providing the sounds and various kits to play with. The module boasts 74 kits in total, comprised of 54 factory preset kits and 20 user customisable kits. The 20 slots for your own kits, give you the ability to customise and create your own collection of sounds for added versatility. The kits and sounds span every genre, with premium-grade samples used to ensure optimal audio fidelity and performance. It also boasts 60 play-along tracks built-in as well as an integrated metronome which is ideal for practising. It also features a USB memory stick connection for importing WAV samples and play-along tracks with ease. 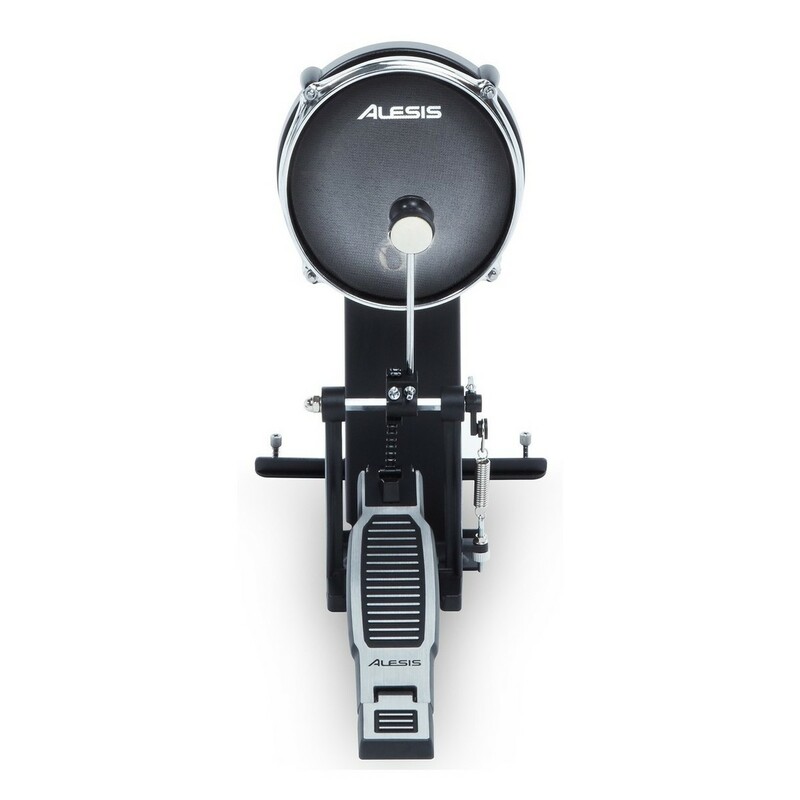 One of the most unique features of the Alesis Command Mesh Kit is the ability to record your performances in real-time. The real-time recording capabilities provide you with 5 internal tracks and up to 99 via tracks of recording via USB memory stick. This allows you to easily capture your live performances, ideal for music production, rehearsals, and more. The sturdy and robust design is highly reliable thanks to the solid chrome 4-post mounting rack. The solid and secure construction ensures maximum stability. The design is also collapsible which is useful for musicians on the move. It allows you to pack away as well as setup your kit within minutes. The Command Mesh Kit comes complete with everything you need to setup your kit with ease, including a drum key and connector cables. 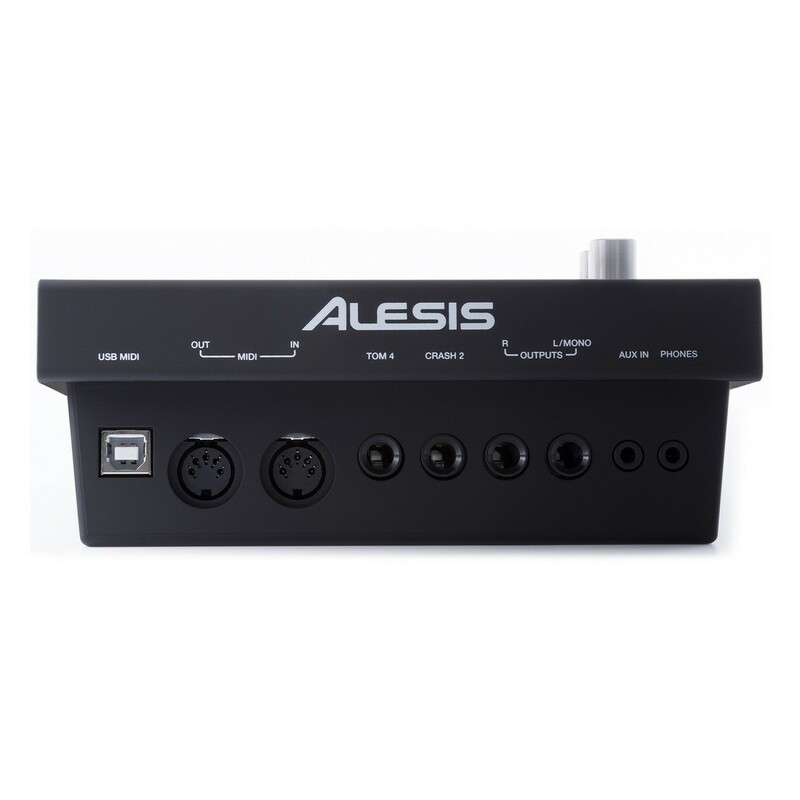 The Alesis Command Mesh Kit also boasts a versatile range of connections for use with other equipment and added functionality. One of the most convenient connections is the Aux input. This Aux input allows you to incorporate your smartphone or MP3 player and play your song collection while playing over the top. Not only is this good for messing around, but I can be also useful for practising song parts and band rehearsals. There is also a USB/MIDI output, which is great for using virtual instruments and recording software in conjunction with the drum kit.